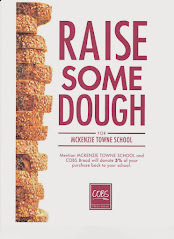 McKenzie Towne School Parent Association: MTS Capacity Update - Relocatables! It's official! We are excited to announce that McKenzie Towne School will be receiving 4 relocatable classrooms, that will arrive in the fall. These classrooms will be added to the west side of the school. We do not have details yet about timing in terms of students moving into those classrooms, but look forward to great learning opportunities in these spaces. Thank you to all the parents who voiced their concerns about our school capacity. Have a wonderful summer and we look forward to seeing everyone in September!